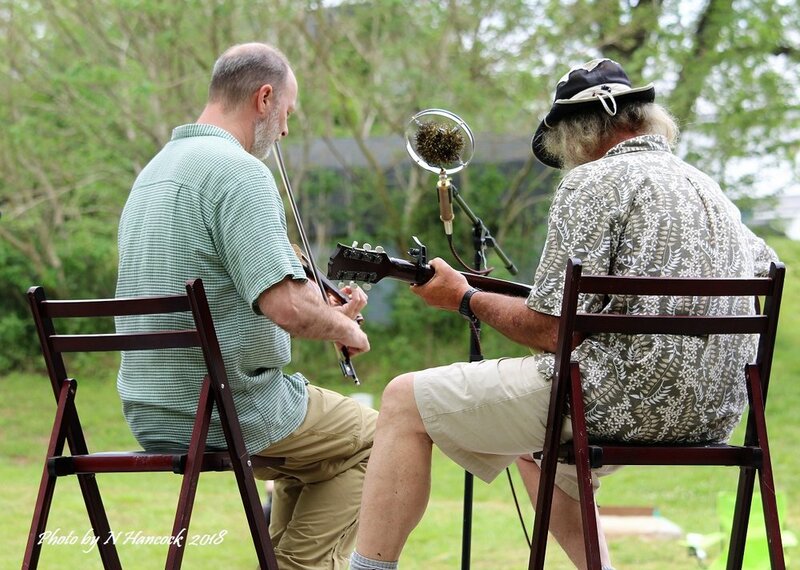 We are not your average fiddle festival…we don’t divide acoustic music into styles; we play into one mic; and the awards are split up equally to the 3 top exemplary performances per competition category instead of dividing into the 1st, 2nd and 3rd place. For more on this, go to our info page. Open Category – Exactly as it sounds, if you play an instrument… this is your category. This includes Guitar, mandolin, bass, jaw-harp, Tuba… seriously we don’t care as long as it is acoustic. How can a Tuba compete against the lap dulcimer? We have no idea, so this category has three exemplary performances as well with a $50 award for each category and cool prizes. In the future we may consider separate competitions for bass and mandolin, but being our first year we were uncertain of participation. Fiddle – The fiddle competition is a little different than most other festivals. There is only one category; “fiddle”. If you’re a jazz fiddler, a bluegrass fiddler or any other fiddler you’re showcasing against other fiddle players. On the positive note we offer three $50 awards and cool pottery for the three exemplary performances. Banjo – Same as fiddle, there are not separate categories for different banjos, if you’re a killer tenor banjo player this is the place for you. Three exemplary performances $50 each and cool pottery. Vocal – We love vocalists. We don’t love fighting for copyright approval. Any song performed in this category MUST be in the public domain and we will check. If we find the song is not in the public domain we will applaud and love you, but you will be disqualified. Please check before performance. The three exemplary performances will each receive $50 and cool pottery. Songwriting – We love songwriting, bring us your original song we’d love to hear it! Please make sure we aren’t going to run into problems with your performing rights organizations. The three exemplary performances will each receive $50 and cool pottery. Piedmont / Mill Song – We think the music of the North Carolina Piedmont is under-appreciated thus we have a separate category for music that comes from mill towns like Franklinville, Eden and Gastonia. If you have a song or piece of music that can be connected to the North Carolina Piedmont this is your category. This includes mill songs, fiddle tunes, country songs and Piedmont blues tunes. Prizes? cool pottery and $50, how can you go wrong? Youth Category – All youth participants receive cool stuff and feedback. We also honor three exemplary performances. To be clear, these may not be the three best performances but they are performances reflective of growth in the students. For example, an exemplary performance may be a student that has only been playing for a few months but has shown great progress. Bands – The band competition, like the other competitions offers three exemplary performances. Each band will perform two songs for the band competition. The three exemplary bands will each receive $250, cool pottery and a performance slot of 30/40 minutes on Saturday night. – Registration for the competitions is on site. Please register at the judging desk at least fifteen minutes before the scheduled performance time. If you want to be guaranteed a slot please register as early as possible. *There may be tweaks for 2019 and we will try to post them here before the festival.